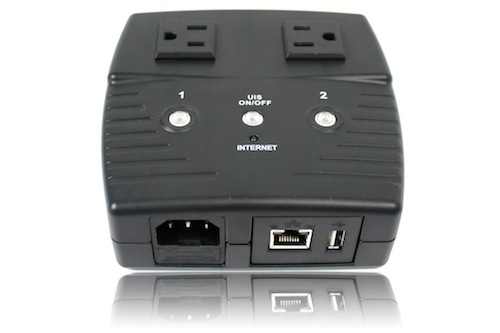 Congrats to Steve M. of Columbus, Ohio who just won a $25.00 Restaurant.com gift code for writing a review for Remote Power Switch - 2 Outlets - Home Automation and Remote Rebooting (Routers, WebCams, Servers, etc) at 3Gstore.com! Every week we randomly pick one product review from the previous week and award the writer a $25.00 gift code. We appreciate ALL the reviews our customers write, whether they are positive or negative - honest reviews like Steve M.\'s help other customers decide if the product is right for them. After you purchase a product from 3Gstore.com, we encourage you to log in and 3Gstore.com and leave a review letting people know how the product worked for you - you'll be helping others, and you'll automatically be entered to win a restaurant.com gift code!. I am unhappy that I need it but delighted that my IP switch is detecting and resolving my DSL modem reliability problem. The product was shipped quickly and performs as expected. 3GStore reached out to me quickly to ensure I was happy with the transaction (thanks Kevin!). This is a company I would definitely do business with in future and would recommend to anyone needing products like theirs.